There are practically an endless number of things to see and do in Vancouver, but if you’ve walked through Stanley Park, wandered through Gastown, shopped Robson Street, checked out the museums and the Granville Island Public Market, you may want to do some exploring outside of this beautiful city. Vancouver's surrounding area has lots to offer, whether you want to relax, get active, or enjoy a little of both, including plenty that can be easily accessed within 90 minutes from downtown. 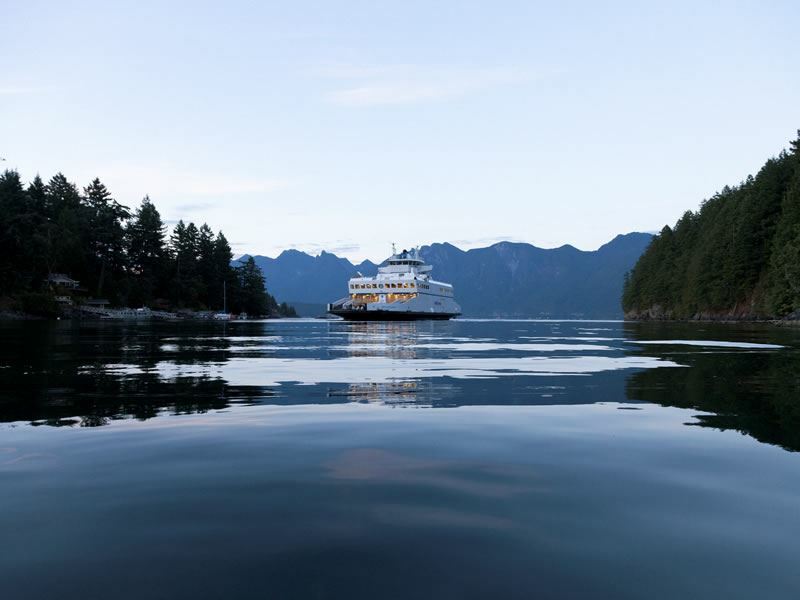 Bowen Island is the most easily accessible island from Vancouver, reached via a 45-minute water taxi from Granville Island in Vancouver, or 20 minutes by ferry from Horseshoe Bay in West Vancouver, yet it feels as if it’s worlds away. You’ll arrive into Snug Cove, which has a marina with a number of small shops and restaurants, and is enveloped by Crippen Regional Park, a popular place for picnicking and hiking, with nearly seven miles of scenic trails. If you want to venture out more, you’ll find multiple hiking trails and parks throughout this peaceful 20-square-mile island. Bowen is also a fabulous destination for sea kayaking, with a number of outfitters offering a range of tours and expert guides that will take you out to paddle along the shoreline, checking out sandy beaches, inlets and marine life. Kayak rentals are available too if you’d prefer to head out on your own. The island hosts a thriving art scene and a number of galleries and shops where you can buy local and regional works of art, along with numerous eateries, from community cafes and casual pubs to fine dining restaurants. 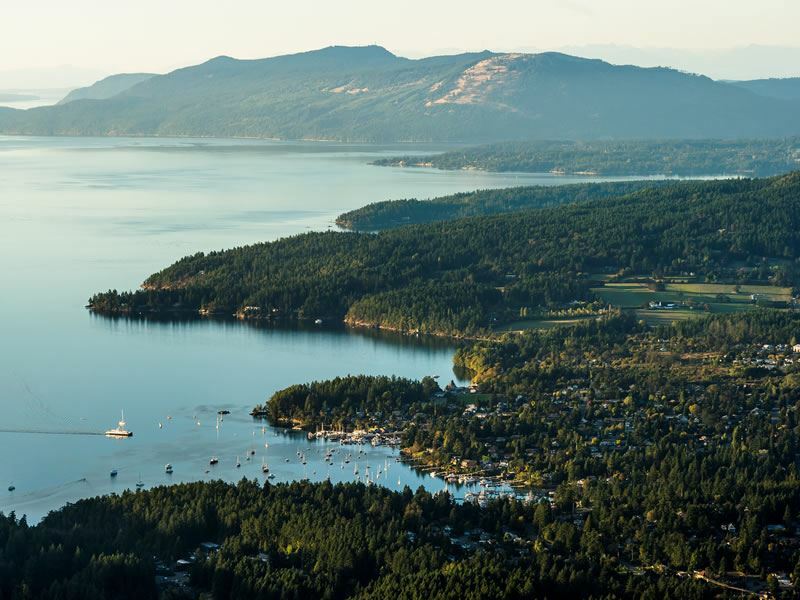 For an especially unforgettable day trip, take the 35-minute floatplane trip from downtown to Salt Spring Island, known as the crown jewel in the Southern Gulf Islands. Along the way you’ll get to enjoy jaw-dropping panoramic vistas of the island-dotted waters before touching down at Ganges Harbour, which happens to be just steps away from one of the best outdoor markets in all of Canada. If you’re there on a Saturday, you can enjoy browsing the over 100 stalls that sell everything from delicious foods and homegrown products to arts and crafts and more – be on the lookout for the tasty farmstead cheeses, and discover the island’s famous lamb served at local restaurants. If you happen to visit on a Friday or Sunday, head over to Salt Spring Vineyards. On Fridays, from 4 p.m. to 6 p.m., it hosts the Friday Wine Down, and on Sundays, Sunday Afternoons in the Vineyard, from 2 p.m. to 4 p.m. – bring a blanket, pick up a bottle of wine and enjoy music in the vines. The Fraser Valley makes an ideal day trip, especially for food, wine and history enthusiasts, just an hour southeast of Vancouver. Your first stop should be the Fort Langley National Historic Site, a fortified trading post that allows you to step back in time to the mid-19th century in the birthplace of British Columbia. Witness the story recounted through costumed reenactors and heritage buildings, and even try your hand at gold panning or blacksmithing. Afterward, take the free Circle Farm Tour (maps available at circlefarmtour.com), and spend the rest of your time sampling produce fresh from the farm and wine tasting at the many boutique wineries in the region where you may even be able to chat with the winemaker who produced the very glass you’re sipping. 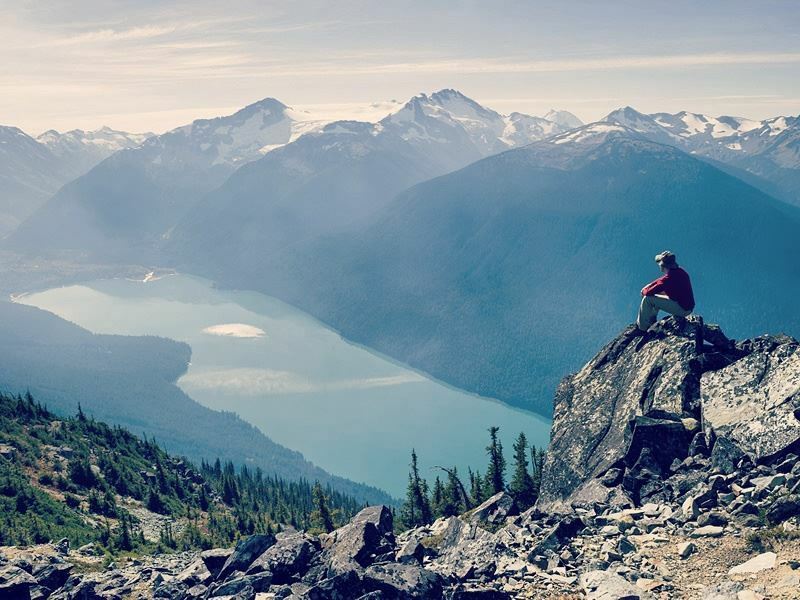 Situated about halfway between Vancouver and Whistler via the Sea to Sky Highway, Squamish is worth visiting for the scenic drive alone, but you’ll find numerous attractions to enjoy once you get there too. The Sea to Sky Gondola is arguably a must experience, soaring well over a mile up the mountainside, providing passengers with breathtaking panoramic vistas of Howe Sound and beyond. At the top, you can stroll across the suspension bridge, hike the forested trails and dine in one of several different restaurants. Be sure to save some time for a visit to Shannon Falls Provincial Park, home to the third tallest waterfall in the province at over 1,100 feet. Around the base of the falls, there is a boardwalk and trail network for gazing up at the towering trees and taking in different perspectives of the thunderous falls. Afterward, relax with a pint at Howe Sound Brewing, which features handcrafted, micro-brewed ales and lagers on draft. The outdoor patio offers incredible views, and if you’re here on a Friday or Saturday night, you can enjoy live music too. No visit to Vancouver is really complete without making a day trip to Whistler, about a one-and-a-half-hour’s drive from the city. A popular outdoor playground year-round, it became internationally renowned in 2010 after co-hosting the Winter Olympics with Vancouver. 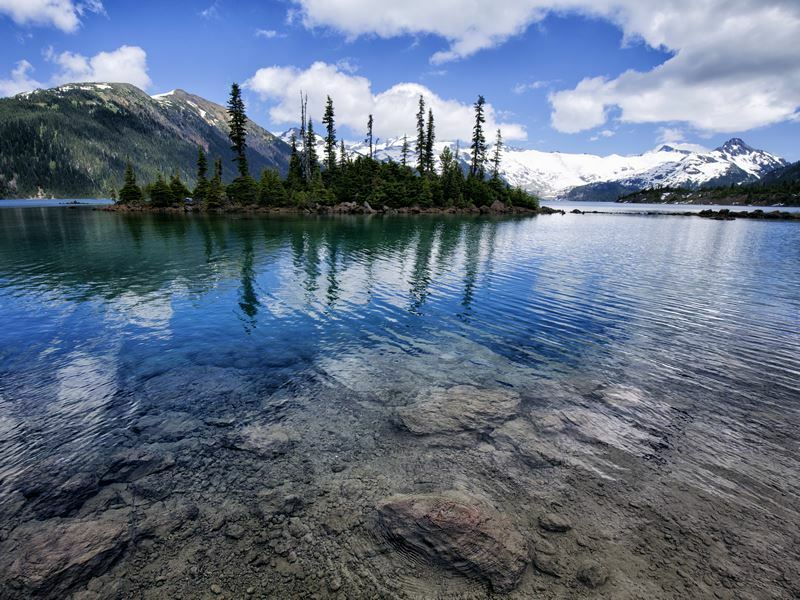 While you might think it’s just a ski town, that’s far from the reality, as it’s become one of Canada’s top summer destinations too. There are miles and miles of scenic hiking and biking trails, record-breaking zip-line rides, numerous golf courses, off-road tours, the chance to bungee jump and watch for all sorts of wildlife. It also boasts world-class shopping, dining, happening bars and lavish spas. 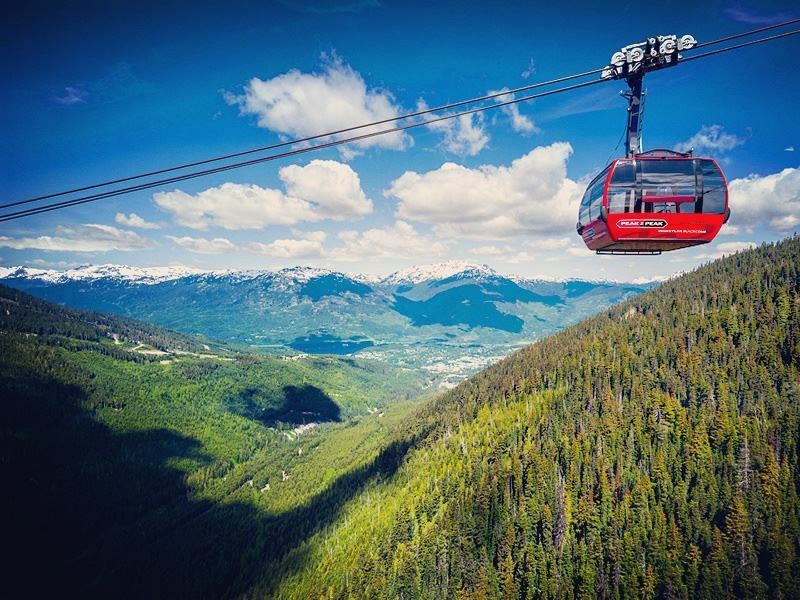 One of Whistler’s most popular attractions include the PEAK 2 PEAK 360 Experience, a unique gondola that links two mountains: Whistler and Blackcomb. It’s the world’s longest continuous lift system and a full-day experience. Ride the glass-bottomed gondola that glides a mile above Fitzsimmons Creek – keep an eye out for bears that are sometimes spotted below - and then hike the trails or take one of the free guided tours. Located among the dramatic mountains and the sandy beaches of Harrison Lake about an hour’s drive from Vancouver, Harrison Hot Springs is best known for its warm, healing spring waters which can be enjoyed in the five mineral pools at Harrison Springs Resort & Spa. The springs were a popular gathering place with the Coast Salish First Nations people who referred to them as “Warum Chuck,” and have been considered a natural healing and spiritual spot for centuries. Before or after soaking you can indulge in treatments at the Healing Springs Spa, listening to the cascading falls and soothing music and stress instantly fades away. There are several restaurants here too, ranging from casual healthy fare to elegant dining with live music at the Copper Room. You really don’t want to visit British Columbia without having experienced its capital city. While it’s worth much more than a day, you can see many of its highlights in a day trip. The ferry ride from Vancouver is a little over 90 minutes, but there are also seaplane flight options for getting there in just 35 minutes, and you’ll be able to take in some amazing views along the way. Look closely, and you may even spot orcas in the water below. Visit Butchart Gardens, one of the world’s most stunning display gardens, and enjoy sipping afternoon tea overlooking the colourful flower- and plant-filled landscape. At Fisherman’s Wharf, try the mouth-watering fish ‘n’ chips at Barb’s Place where you can dine on an open-air picnic table while watching the playful seals splash around, and the seaplanes as they take off and land on the water. 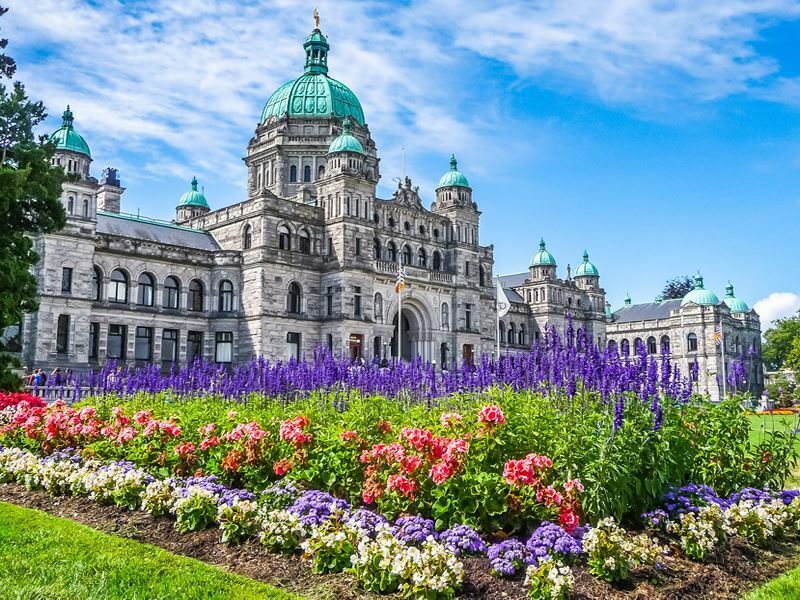 There are multiple galleries and shops along Government Street that are fun to browse, as well as several outstanding museums, including one of Canada’s very best, the Royal BC Museum, the only natural and human history museum in the province. It showcases millions of artefacts, including items from the infamous Titanic, Leonardo da Vinci and the Vikings, as well as hosting a Modern History gallery that displays a genuine frontier town, and a Natural History gallery focused on the province’s rainforest and coastal ecosystems. Deep Cove is a quaint community in North Vancouver, located about a half-hour from downtown. It’s one of the most picturesque destinations in the region, and is especially popular for kayaking and other water sports. 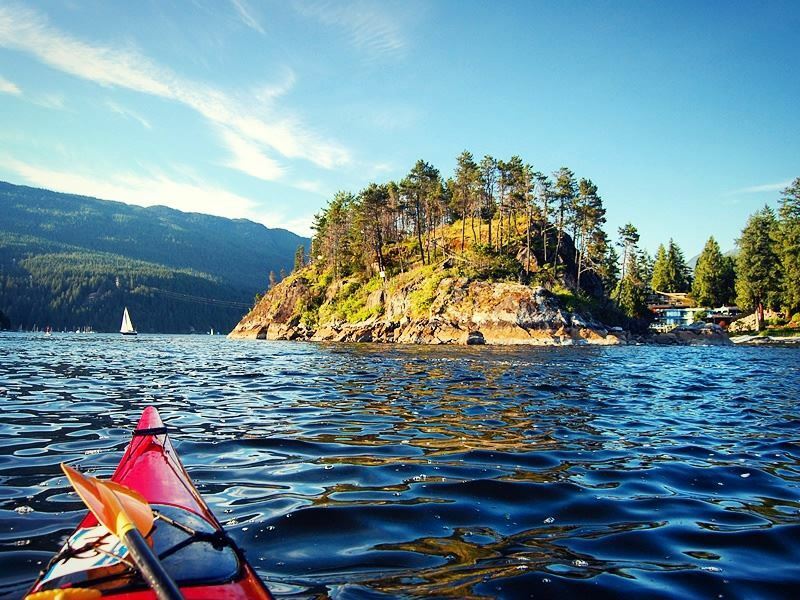 During the warmer months, you can rent a kayak and paddle around for close encounters with nature, including sea lions, seals and bald eagles that are commonly spotted. Hiking is another favourite activity, with the trek to Quarry Rock especially popular as the views from the top are spectacular. The hike follows an easy route and only takes about 90-minutes out and back, so it’s easy to fit in a day trip. In fact, you could easily hike the trail in the morning, enjoy lunch in the little village, and then paddle in the afternoon. After all of that activity, you may want to treat yourself to one of the signature doughnuts at Honey Doughnuts & Goodies that draws locals from miles around. If a beer is more to your liking, Deep Cove Brewers and Distillers offers a great way to celebrate the day with its award-winning Quick Wit Ale and other craft beers. A whale watching day trip is yet another must-experience when in B.C., with the Southern Gulf Islands, located between the Lower Mainland and Vancouver Island, offering some of the very best spots on the planet for watching orca whales in their natural habitat. 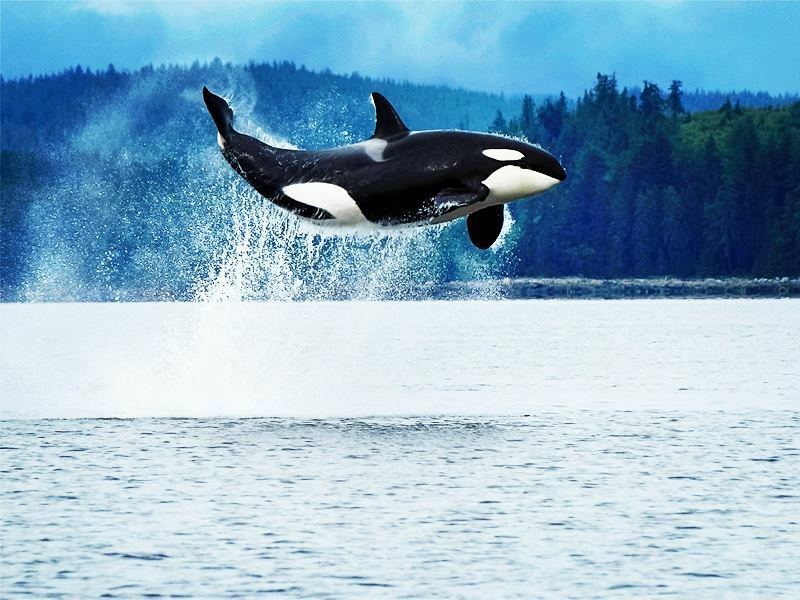 Some 80 orcas have been estimated to live in the waters around these islands, and the northeast coast is home to about 250 of the majestic creatures. There are many other animals that are commonly seen too, from otters and sea lions to dolphins and birds. You’ll have your pick of whale watching outfitters to choose from, with many departing right from Vancouver offering a range of options from two-hour trips to full-day excursions.